FC Barcelona travel to San Sebastián on Thursday ahead of their 9.15pm CET match against Real Sociedad in the Copa del Rey quarter finals first leg. Luis Enrique's players, following victories over Hércules and Athletic Club in the round of 32 and the round of 16, face a rival they beat in their last cup encounter in the semifinals of the 2013/14 season. 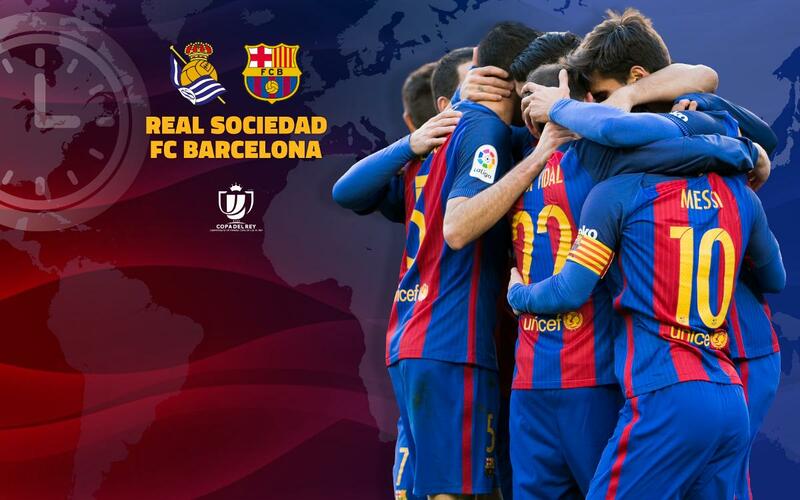 The match can be followed from around the world via the Club's website and social media outlets as well as on Barça Radio. Below you will find a comprehensive guide to the times and channels which will make sure you don't miss out of any of the action ahead of the Real Sociedad v FC Barcelona game whether you are in Buenos Aires or Beijing. fuboTV, beIN SPORTS en Español, beIN SPORTS USA, beIN SPORTS CONNECT U.S.A.